Huw. I don’t really know what to say…..(that’s a change!) But I thought I would just remember all of the good time, of which there were countless!!! I just have to think about all the times in English, Art and Drama last year and it puts a smile on my face. Like in Art, you were sat next to me (I couldn’t believe my luck at the time!!!) And there was when I went to get some paints for my portrait, and beforehand you had been messing around with some scissors and your hair. And when I came back to my painting, it had a moustache…of your hair. And you just sat there and laughed while I tried to get your hair off my picture! Also there was the time with the chalks, when you went through a phase of covering everyone in multicoloured chalks! Mr Ward was always telling us off for either talking or laughing when he was talking. And when you become obsessed with the word ‘Embaz’ and spent most of our Art lessons after that saying it to me in every other sentence! Then there were all the good times in English, where you were sat next to me again. Miss Copsey was always telling us to stop laughing at each other and listen! I always used to look forward to those lessons, because it would mean having a laugh with you. You always knew how to have a good time. 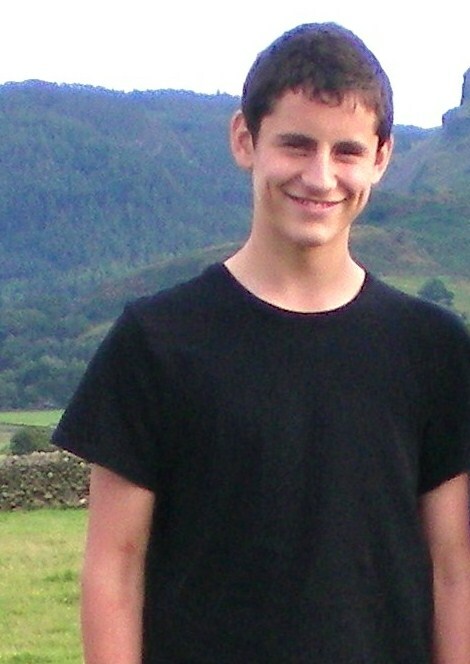 At my 14th birthday you danced non-stop to Kasabian or something like that! And when you walked through the door everyone in the room crowded around you, really happy that you were there. And at computer camp in year 8 after nightline at computer camp we both thought it would be fun to roll around in 2 puddles for a while to get the mud off us! We actually managed to end up muddier than we were before! And the time we decided to have a lollipop fight after school in the playground where we ran around chasing each other throwing lollies at each other for some random reason! And in Maths this year you used to make those crazy noises that would make everyone crack up laughing, even if we had no idea what you were on about! Every time I think of your gorgeous smile it makes everything suddenly seem happier. For once in my life I actually looked forward to Maths and English because I knew I would have a laugh with you. Your smile lit up any room on the darkest of days and you will always be remembered as an amazing, talented, funny, caring, likeable, gorgeous boy who everyone loved. I will never forget you Huw. You touched everyone you met in some way and you were a truly amazing person.